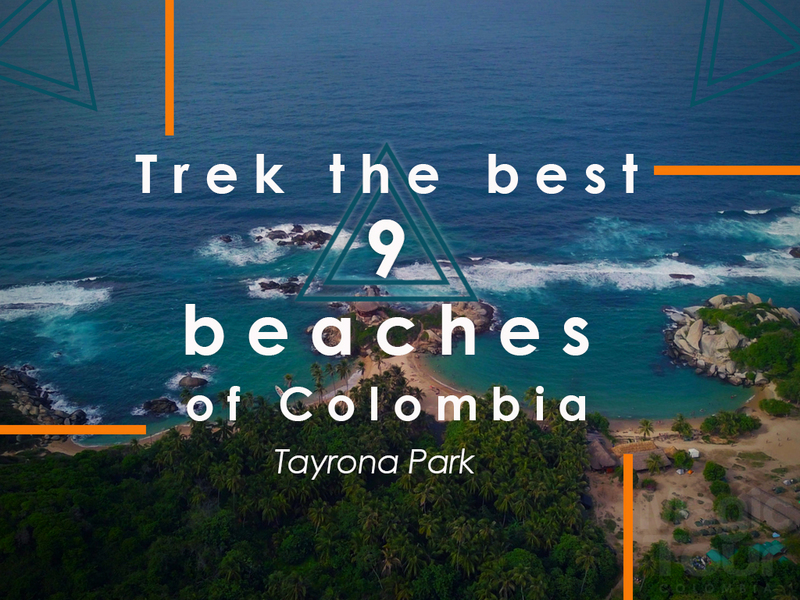 A few days ago we thought about the immense nature of the Tayrona Park, one of the most important parks in Colombia, due to the fact that it has a bizarre wealth of animal and plant species discovered and still many others undiscovered. While we contemplated it on the map we could not stop thinking that it was not enough to settle for what little we know about this park; So the next day, without thinking twice we set out to put on our boots, prepare our bags and get lost for 3 days to go as far as we could and tell them in our own words how amazing this excursion can be for those who dare to accompany us. Our tour started very early in the morning, accompanied by the morning cold we went on our 4×4 to the second entrance of the Tayrona Park, Calabazo. Once we arrived, we had a light breakfast and started our adventure. 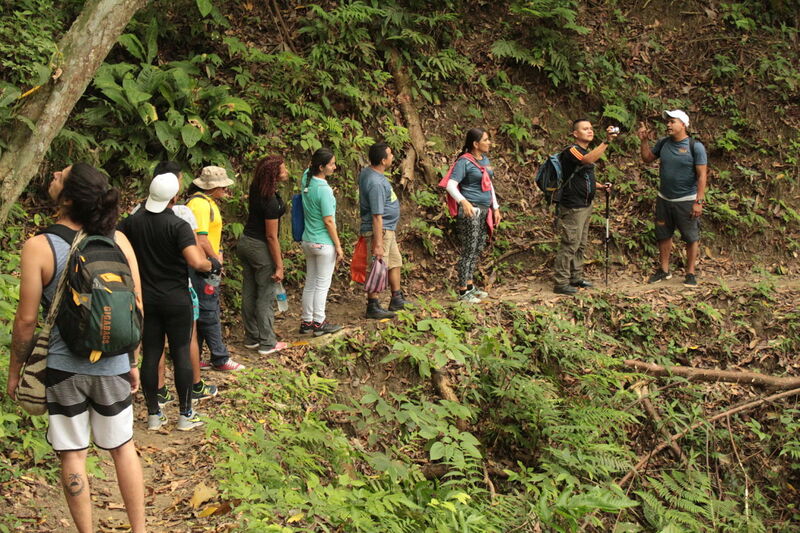 The road from Calabazo to Playa Brava was a great challenge for everyone, so it is recommended that you have an excellent physical condition as you will be walking among uncovered terrains, exhaustive climbs and fighting against the heat and humidity of the Sierra Nevada climate. Therefore, apart from your physical condition you can also help with a comfortable bag with the best possible luggage, at the end of this day you will appreciate it! After four hours immersed in the sound of nature, listening to the singing of birds and observing various animals such as the howler monkeys and Titi monkeys on our way, we finally reach Playa Brava. Its name is particularly in that it is a beach where you can not swim due to the strong waves of its sea. Brava is a colloquial term on the coast that is widely used to refer to someone who is of a bad temper or something that is strong. Connotation used then to refer to the strong waves of the sea. The funny thing is that although you cannot bathe, this place is incredibly quiet and can be an excellent spot to enjoy with your friends and spend all day on the beach talking to the sea or mesiendote by the breeze in a hammock. Also in the rainy season you can walk about 25 minutes on a flat rocky trail and find a small ancient waterfall, it is said that in this place the natives gave birth to their children. The second stop, it took us about 45 minutes. 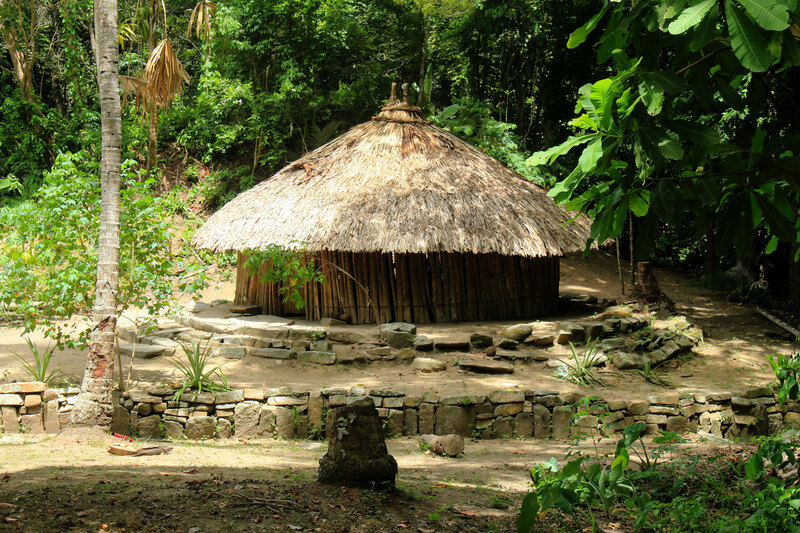 In this place we learned about the history of the first inhabitants of Tayrona Park, their way of life, the spoils and abuses of that time, and the subsequent adaptation of the few indigenous people who still live in the area. Here we could also observe the cultivation and the small huts where our “big brothers” live. 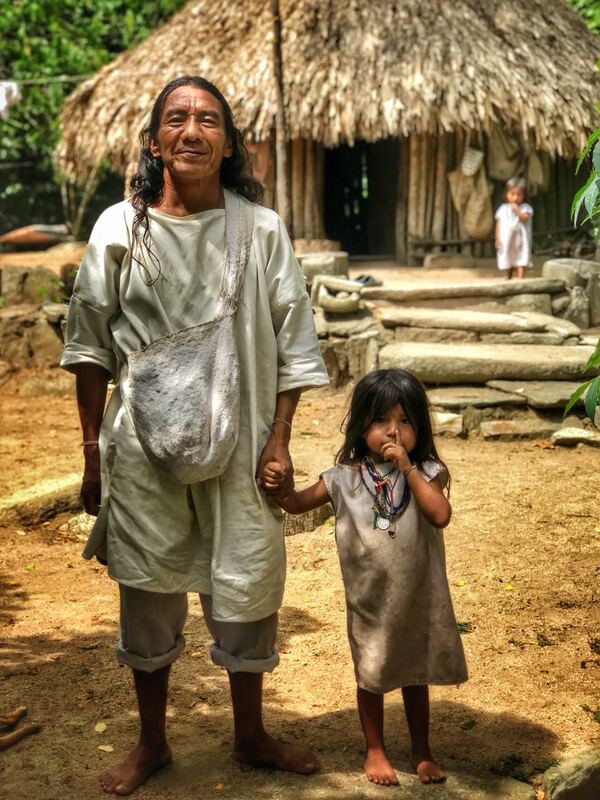 We could observe also their crops and the small huts where our “big brothers” still live. These were built in wood, mud, palm and lianas. These huts have circular architecture without divisions inside. The roofs are made conical and represent the mountains of the Sierra Nevada. Once we had made a little break and recharged our energies, we decided to take an old road made with immensely huge stones, interesting fact: it is said that we still do not know with certainty how this road was built, whether by our ancestors or by aliens from another planet. Getting to Cabo San Juan took about 1 hour, my knees were to burst from both up and down the mountain and the huge rocks (recommended bandages or bandages, some pills to relieve pain or a good ointment). When we arrived in Cabo San Juan, we all went for a swim while they served lunch. 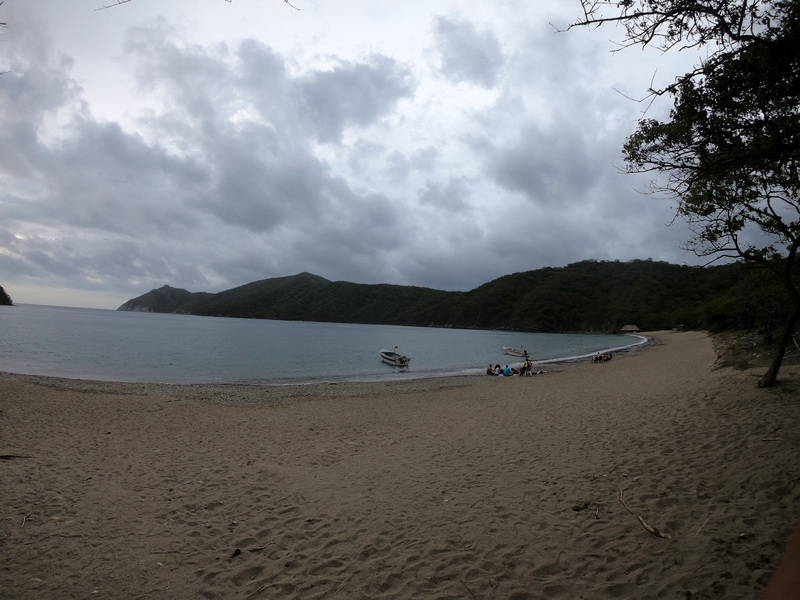 As a good addict to the sea, I decided to take a look at the only nudist beach in the Tayrona Park, which although highly recommended, I still did not know. This beach is only 10 minutes walking from Cabo San Juan, and although I did not have the strength to walk more than those minutes, they were nothing compared to the route we had just taken. It was really worth it, when you get to this place you can feel the abrupt change and the tranquility of a beach not very frequented, Cabo San Juan is one of the most beautiful beaches of Tayrona Park, so not visiting it was almost impossible but the Nudist I was practically desolate and incredibly beautiful. After a dip I returned not to miss a delicious lunch typical of the region and then take a boat to Cinto. This ride had the perfect mix to satisfy our thirst for constant adrenaline; maybe if you are not used to going sailing in the sea this tour will scare you a little and more if the sea that day is choppy (strong waves) but do not worry just follow the instructions and hold on tightly. Getting to Cinto was the best, personally I had always been waiting to visit this beach. It is one of the loneliest and most beautiful in the Park but seeing it with your own eyes is phenomenal. In Cinto we were going to spend the night so we had all the time in the world to enjoy. When the night came, after eating and chatting with my colleagues, I decided to take advantage of a good company, for which a starry sky, the breeze and the sea did not wait. That day the moon gave no sign of its existence, however it was not necessary, the sky made its best show, really incredible! On this beach we were only around 30min, we had lunch and then after a dry forest trail we headed to Playa Cristal a “somewhat” tourist beach (being modest) but we could not just not go. It is simply beautiful. We return after the same path and head towards Gairaca for 1h40 min approx. The last day we got up early, had a delicious grilled arepa, scrambled egg and sweet and juicy pineapple and melon. After this great breakfast bordering the beach and then ascend for only 30min to get to the other side of the beach where is Playa del Medio, an excellent place to snorkel and appreciate the marine life. 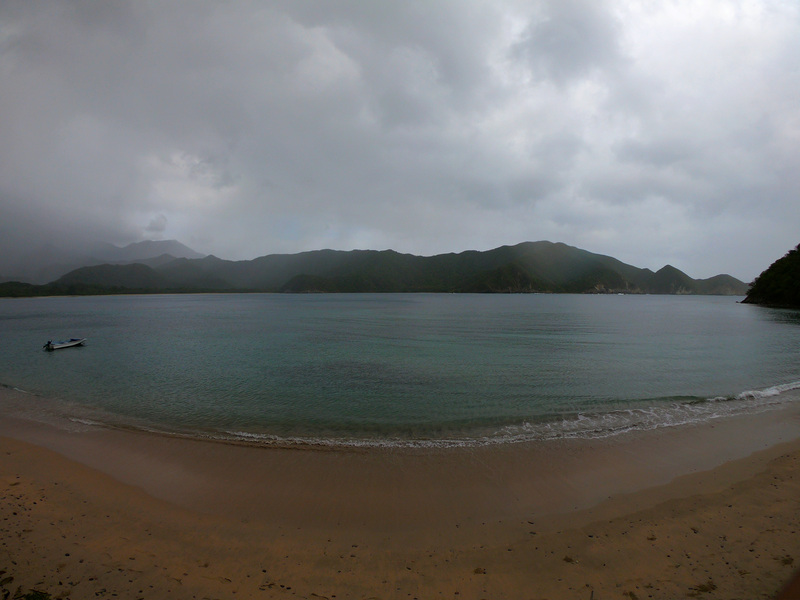 Then we headed towards Chengue, a wonderful trip. Capturing all our attention; This beach is undoubtedly one of the most fascinating of Tayrona Park. 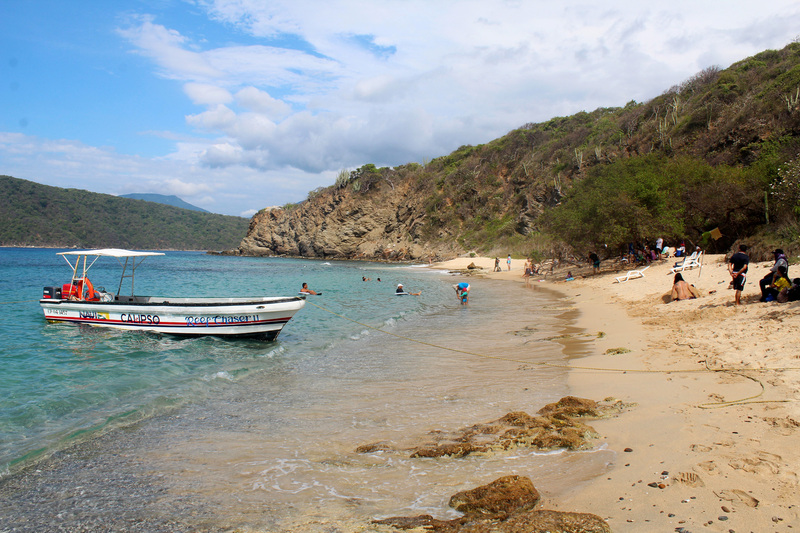 Its structure and natural wealth make it one of the most protected beaches in Colombia. So much possesses that on the way you can find quantity of mangroves and parts of salt mines that line the Caribbean coast. This beach has a range of indescribable colors in the form of water, a mixture of blue and green that allow you to see everything that happens on your feet. 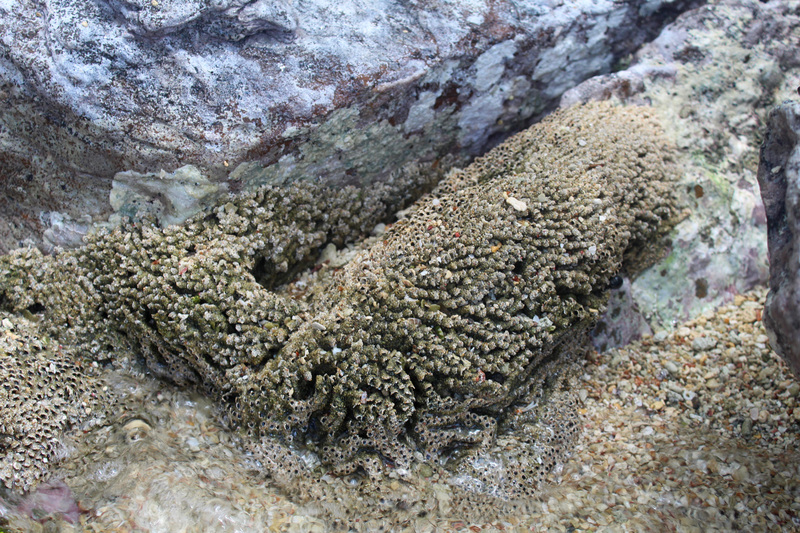 A beach to admire, you must be very careful and avoid 100 to step on the corals, both for your own good and for the protection and welfare of these, just float and swim! 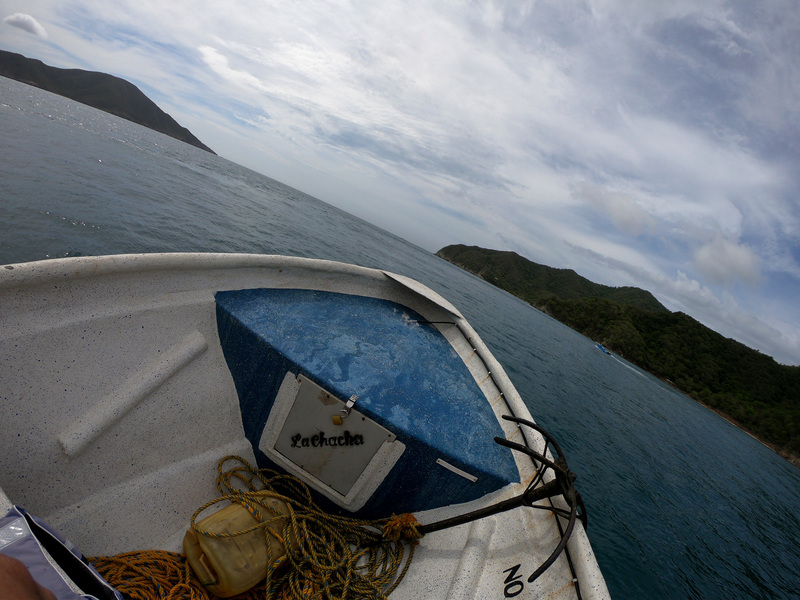 After lunch, a boat takes us from Playa del Amor, romantic, with crystal clear and calm water. A good choice to close the day. No edition in this picture, just awesome! The tour ends with a rewarding boat ride that shows you many of the beaches that have been explored, the fishing way, the infinity of the sea and the imposing nature hidden in Santa Marta, a small city in northern Colombia. 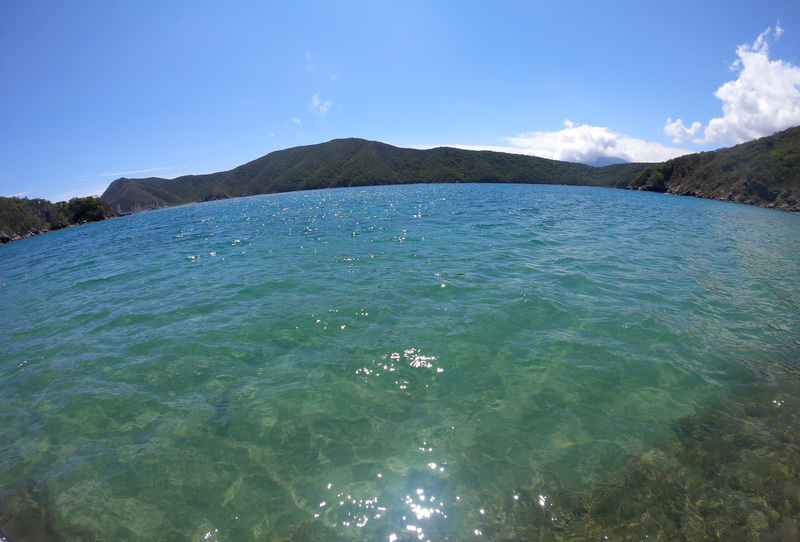 Our adventure ends in Taganga, a small fishing village, when a car arrives picks us up and takes us to our homes. And this is how after being disconnected from everything, in a matter of seconds the signal returns, the noise of cars and people; everything returns to normal. The Colombian Caribbean coast will never tire of showing places taken from another planet! If you found this plan interesting, leave us your comments below and help us share with your friends. If you want to live this incredible experience exploring the best 9 beaches of the Colombian Caribbean coast Book now!